Deciding to tint the windows of your car involves more than deciding whether you are going to tint a single window, or all the windows. You also have to decide which tint option you want applied, with each of the tint films in our range offering different benefits. Your reason for wanting to tint your car windows will often help decide which tint film option is needed, but with some overlap of benefits between the different film types, a little bit of expert guidance could be necessary. At Instant Windscreens, we are more than happy to assist you in selecting the right tinting option, with the below guide sharing details of our tint options, which our expert team can discuss with you in greater detail when you come in for a quote, or to book your car in. With our Premium auto tint range, you are able to maximise your privacy in a sleek and elegant way. The Premium 35 tint offers the darkest legal window tint you can have in Australia, which brings with it outstanding comfort thanks to maximum UV and solar energy blocking. With Premium EMS (Electromagnetic Safe) window film, you are able to minimise interference caused by radio waves, mobile phones, and satellite navigation systems, without affecting the signal for your own radio, phone, or GPS. Premium EMS is particularly effective in cars with a built-in antenna. Both Premium options offer glare reduction of up to 60 percent, while blocking more than 99 percent of harmful UV rays. The Matrix range offers drivers the ability to protect their vehicles with a film tint that uses the most advanced technology and materials, including the world’s toughest scratch resistant surface. 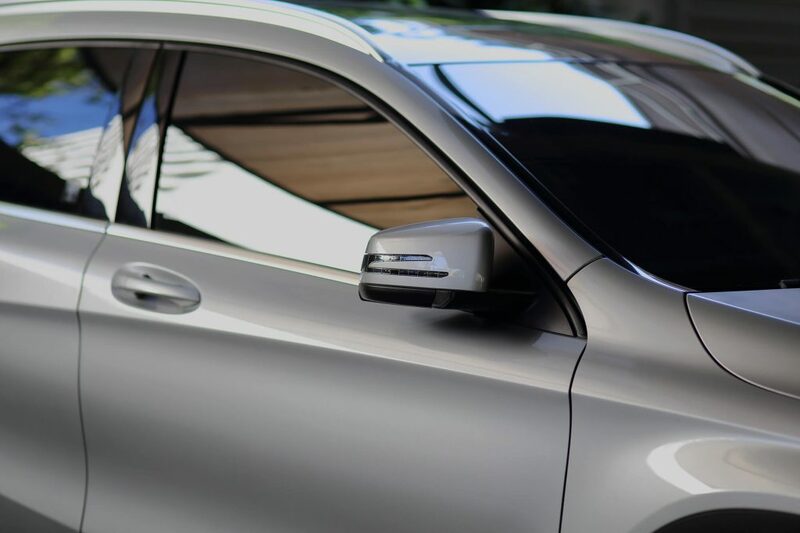 Like most other tint films, the Matrix will strengthen the glass of your vehicle, but is also available in a variety of tints, from the standard 35 percent through to lighter tints that comply with local regulations. Matrix films block more than 99 percent of UV rays, but can also reduce glare by up to 64 percent. Sometimes the reason for wanting to tint a car window is more about safety than comfort, but with the Pure Steel range you don’t need to sacrifice comfort for safety. Like our other films it reduces glare, blocks almost all harmful UV rays, and limits the transfer of solar energy, but being three times thicker than other window films means it also offers superior protection against vandalism and smash-and-grab theft. If you’re ready to find out which car window tint option is the right one for you, you can request a quote by contact us at 132 144 or through our online enquiry form. We’ll establish what your needs are and what your reasons are for wanting to install a car window tint, before recommending the optimal solution for you.